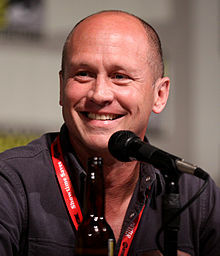 HBO has picked up a project to goto pilot called ‘Silicon Valley‘, the brainchild from ‘King of the Hill‘ and ‘Beavis and Butthead‘ creator Mike Judge. His creative team John Altschuler, Dave Krinsky, and Scott Rudin will all produce. John, Dave, and Mike wrote the pilot, which is set in, you guessed it Silicon Valley. The show will center on a group of people who work in the technology sector of a company where the most qualified people succeed are the least capable of handling their success according to Deadline. Judge is no stranger to the corporate world as he directed the cult classic film ‘Office Space‘, which dealt with corporate America. Judge will also direct the pilot himself and is slated to begin production next spring. I don’t see why this won’t be ordered to a full series. Everything Judge does turns to gold. Plus HBO is gearing up their comedy slate with Christopher Guest‘s ‘Family Tree‘ and Stephen Merchant‘s ‘Hello Ladies‘. I imagine there will be quite the comedy lineup next year. Fox Bringing back King of the Hill? This entry was posted on Thursday, December 6th, 2012 at 10:23 am	and is filed under News, Television. You can follow any responses to this entry through the RSS 2.0 feed. You can skip to the end and leave a response. Pinging is currently not allowed. I disagree that everything MJ touches turns to gold: Idiocracy did poorly at theaters (not entirely his fault) and especially the Goode Family did not fare well. ‘Idiocracy’ is a good film. It has done very well on home video. But with King of the Hill, Beavis and Butthead, Office Space, and Extract, they have all been good and lucrative. Plus it seems this new one will be more in the vein of ‘Office Space’, which is amazing. « The First Trailer for ‘Star Trek Into Darkness’ Is Here!! !